Lyric song for solo voice with orchestral accompaniment, generally expressing intense emotion; found in opera, cantata, and oratorio. Vocal genre for solo singers, chorus and instrumentalists based on a lyric or dramatic poetic narrative. It generally consists of several movements including recitatives, arias and ensemble numbers. Ensemble music for up to about ten players, with one player to a part. The scheme of organization that determines the basic structure of a composition, comparable to an architect’s ground plan. General term describing the standard category and overall character of a work. Moderate duple meter dance of Cuban origin, popular in the nineteenth century; based on characteristic rhythmic figure. Defines the relationship of tones with a common center or tonic. Also a lever on a keyboard or woodwind instrument. Female voice of middle range. Music drama that is generally sung throughout, combining the resources of vocal and instrumental music with poetry and drama, acting and pantomime, scenery and costumes. Large-scale dramatic genre originating in the Baroque, based on a text of religious or serious character, performed by solo voices, chorus and orchestra; similar to opera but without scenery, costumes or action. 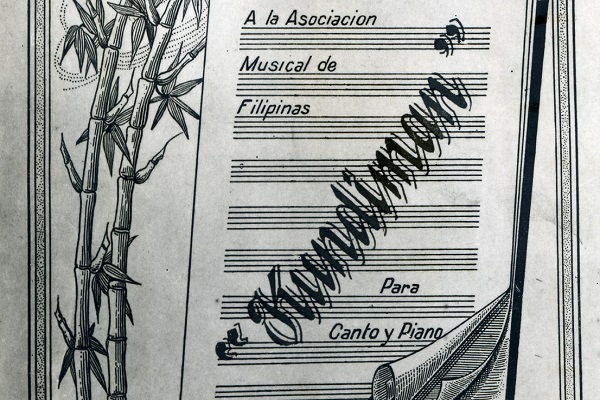 The song of merriment in folk and popular Filipino cultures. It is in moderately fast to fast duple meter. Most of Filipino Christmas carols use this musical form. Song structure in which the same music is repeated with every stanza (strophe) of the poem. Highest-ranged voice, normally possessed by women or boys. The first note of a scale (the tonic or keynote do), which serves as the home base around which the other pitches revolve and to which they ultimately gravitate. Ballroom dance type in triple meter; in the Romantic era, a short, stylized piano piece.